Safavieh's Novelty Rug Collection features beautifully hand-tufted rugs crafted with pure premium wool. 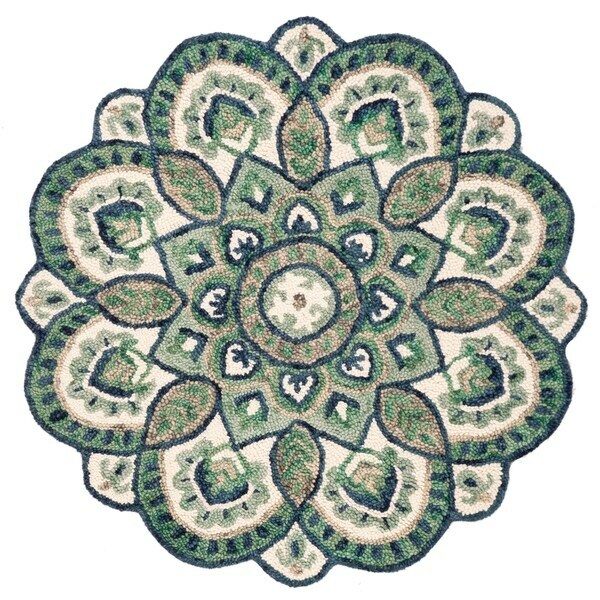 This round rug has curved edges to mimic the petals of a floral and to give it a charming layered look. Place in a cozy nook, under a small dining area, entryway, or a nursery.